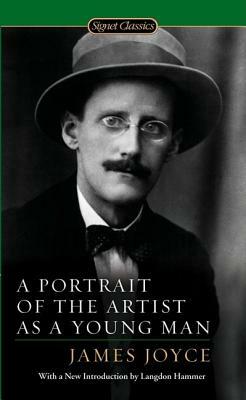 A masterpiece of modern fiction, James Joyce's semiautobiographical first novel follows Stephen Dedalus, a sensitive and creative youth who rebels against his family, his education, and his country by committing himself to the artist's life. "I will not serve," vows Dedalus, "that in which I no longer believe...and I will try to express myself in some mode of life or art as freely as I can." Likening himself to God, Dedalus notes that the artist "remains within or behind or beyond or above his handiwork, invisible, refined out of existence, indifferent, paring his fingernails." Joyce's rendering of the impressions of childhood broke ground in the use of language. "He took on the almost infinite English language," Jorge Luis Borges said once. "He wrote in a language invented by himself....Joyce brought a new music to English." A bold literary experiment, this classic has had a huge and lasting influence on the contemporary novel.